Chocolate Mint Meltaways. PB&J Cups. Chai Latte Lollipops. Cherry Cordials, Spicy Pralines, and the cult favorite, Beer and Pretzel Caramels. Plus candy bars-the Twist Bar, the Nutty Bar, the Coconut-Lime Bar, inspired by commercial favorites (Snickers, Twix) but taken to new heights of deliciousness. 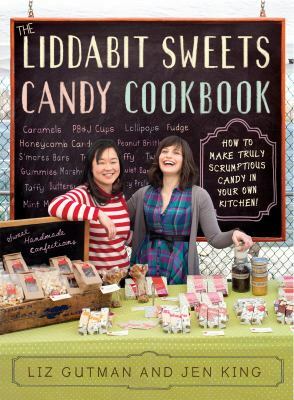 Yes, you really can make these sublime treats at home thanks to Liz Gutman and Jen King, the classically trained pastry chefs who traded in their toques to make candy-and now lead the candy-craft movement as proprietors of Liddabit Sweets, the Brooklyn confectionery.